One of my favorite parts of any wedding day is sunset photos. I get so excited every time a couple plans 15 minutes for sunset photos in their wedding day timeline. These photos ALWAYS end up being my absolute favorite bride and groom portraits from the day, and they are always my couples’ favorite photos as well. 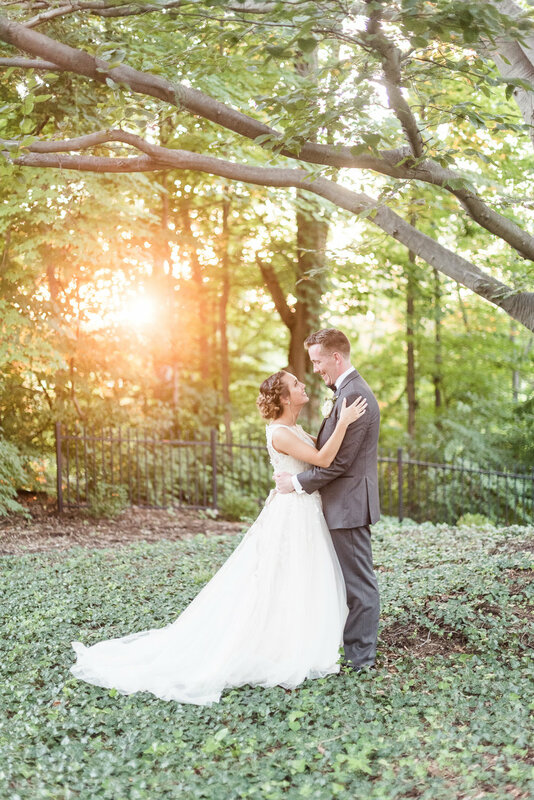 I talk about sunset photos on social media so often that my brides tell me things like “I know how much you love sunset photos, so I planned it into my timeline.” My couples are the BEST. 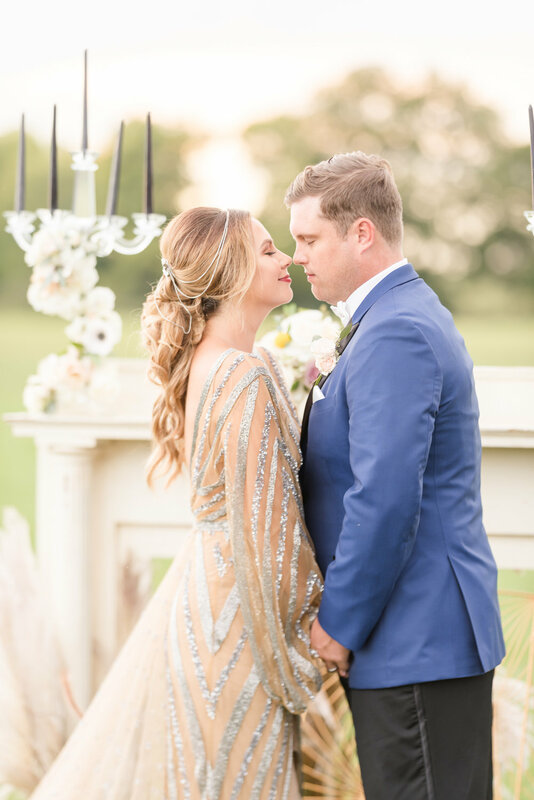 Even one of my couples who gave me an hour for bride and groom photos after their first look still made time for sunset photos during their reception as well. Golden hour photos or photos taken right at sunset have such a different feel to them than photos taken earlier in the day. If the first look is at 1pm, the sun will be super harsh at that time. We’ll have to be careful about where we shoot and which direction we face to make sure the lighting is flattering and not causing weird shadows. However, at sunset, the lighting is amazing. It’s soft and beautiful and flattering. The timing of sunset photos will depend on the season that your wedding is in. Just google what time sunset is on your wedding day, and we’ll start sunset photos about 20 minutes before that. For my summer weddings, this tends to be around the end of the reception. For my winter weddings, this could be right after the ceremony. Not convinced that you need sunset photos on your wedding day? I’ll just let the photos speak for themselves. Are you looking for a wedding photographer? I would LOVE to work with you! Just send me a message over on my contact page!